We are committed to providing support to enable businesses to develop and grow. Often in dealing with the day to day challenges of running a business there is little time to develop a strategy to achieve growth. This is where we can help. Often relatively straightforward support and intervention can make a significant difference. 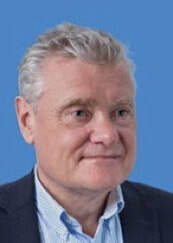 CB1 Associates was founded by Neil Shearer MBA, who has significant senior executive experience. Neil has expertise in implementing cultural and organisational change. A highly developed leader with strategic, analytical and project management skills. He has strategic and operational experience in the not for profit, commercial and public sector. Neil is a mentor with Cambridge Social Ventures, part of the University of Cambridge Business School. Neil's corporate roles have included MRC Technology, a healthcare life science business, as Director of Corporate Resources, UK Sport, the organisation supporting British Olympic athletes, as Director of Corporate Services. Neil commenced his career at Whitbread PLC with a background in financial analysis and strategic planning, culminating in his role as Commercial Director. He has extensive knowledge of the NHS gained as a non-executive director in an NHS Trust.